Adler, Eleanor Lydia, M.D., 1909-1993. Barbour, Lawrence D., Sr., D.O., 1908-. Bartlett, Ellsworth Choate, D.O., 1916-2011. Basile, Evelyn Julia, M.D., 1917-2009. Berchtold, Victor E., M.D., 1901-2007. Bivens, Melvin D., M.D., 1918-1987. Brubaker, Richard E., D.O., 1915-1990. Bunch, C. Pardue, M.D., 1913-1985. Cornish, Percy Gillette, III, M.D., 1929-1996. Seligman, Randolph V., M.D., 1914-2009. This LibGuide is meant to provide easy access to the digital versions of the oral histories in the Health Historical Collection, part of HSLIC's Special Collections. The Oral History Collection was formed in 1982. It contains the work experiences of the most senior and longest-practicing medical doctors in the state. The collection consists of approximately 169 accessible transcripts of doctors, nurses, and other health care professionals. 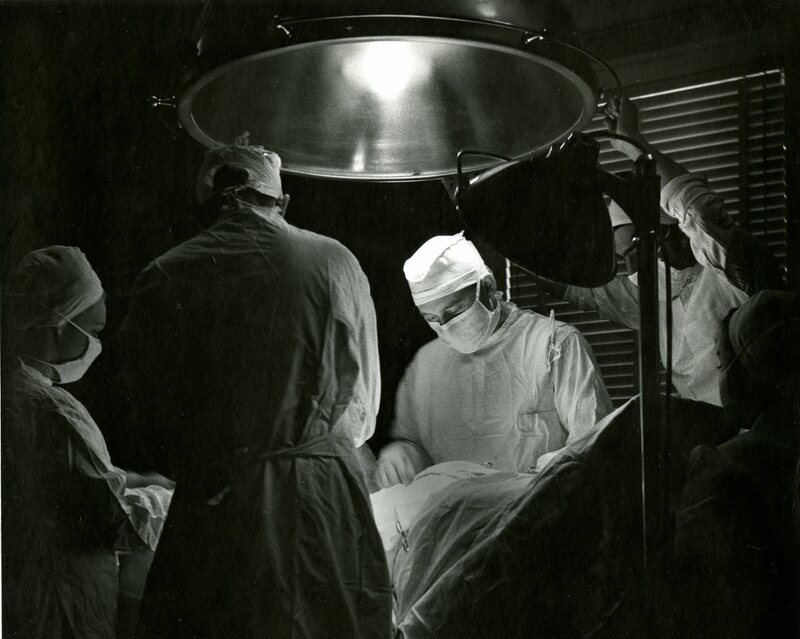 This interview with Dr. William L. Minear (1910-1994) of Albuquerque, New Mexico, focuses on his thirty years' practice as an orthopedic surgeon in New Mexico. Practicing first as the medical director of the Carrie Tingley Hospital for Crippled Children in Hot Springs (Truth or Consequences), New Mexico from 1947 to 1956, then as a private practitioner in Albuquerque for an additional twenty years, Dr. Minear is one of the pioneer orthopedic surgeons of the state. In this interview he discusses his personal and private backgrounds, including his five years' practice as a general practitioner in rural Arizona; his experiences at the hospital in Hot Springs and as a private practitioner in Albuquerque; the development of his specialty in New Mexico from his arrival up to the recent past; the birth of the University of New Mexico Medical School; and much else.